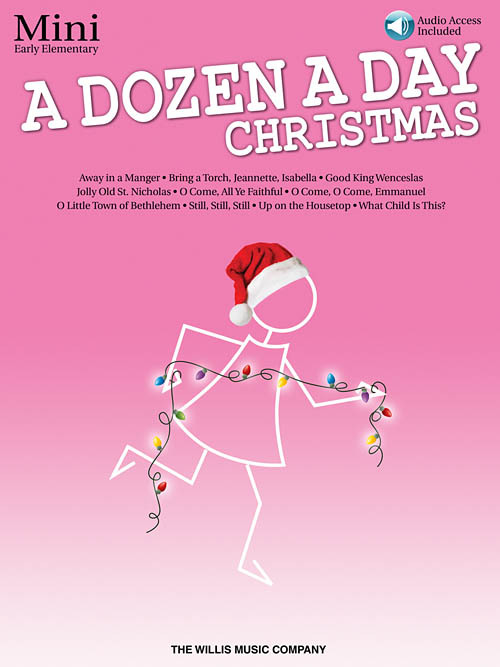 The A Dozen a Day Christmas series contains familiar holiday tunes that may be used as companion pieces to the memorable technique exercises in the A Dozen a Day series. The series is suitable as a supplement to any method but may also be used purely for enjoyment. Songs include: Away in a Manger • Bring a Torch, Jeannette, Isabella • Good King Wenceslas • Jolly Old St. Nicholas • O Come, All Ye Faithful (Adeste Fideles) • O Come, O Come, Emmanuel • O Little Town of Bethlehem • Still, Still, Still • Up on the Housetop • What Child Is This?